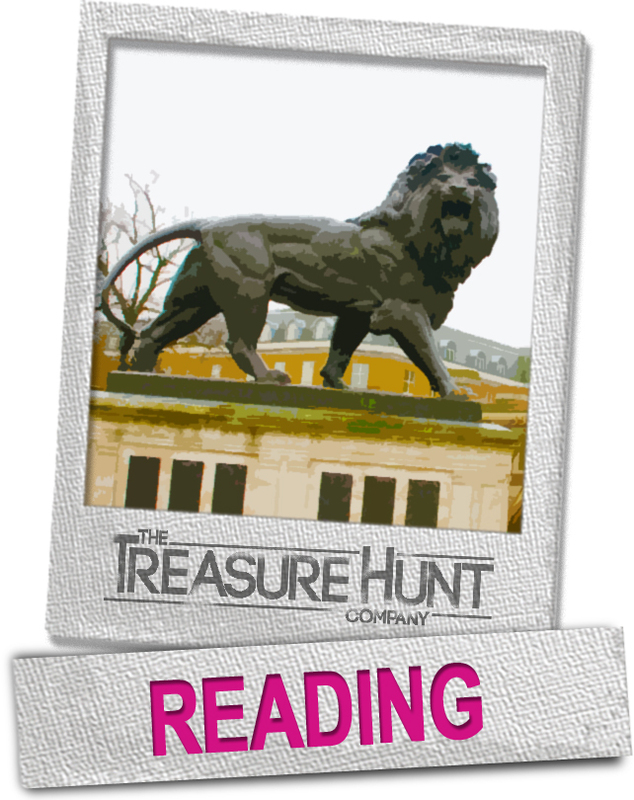 What better place to run your next treasure hunt than Reading, the county town of Royal Berkshire. Half way between London and Oxford, Reading is in an ideal location for an interactive treasure hunt. A vibrant university town and the setting for The Wind in the Willows, Reading has all the excitement of a modern city with the charm of the English countryside. Once famous for biscuits, beer and bulbs there is plenty to do and see during a treasure hunt adventure in the South East. Georgian buildings, medieval churches, a gothic town hall and the biggest standing stone Lion in the world, are just some of the things you’ll come across during your treasure hunt in Reading. Search for clues and collect items for the scavenger hunt through an ancient market place or around a concert hall. The Rivers Kennet and Thames also run through the town ensuring Reading as a beautiful setting for a fun filled day!